Make a difference...by eating a burger! You are able to make a difference to your local area, just by eating a burger or a hotdog! 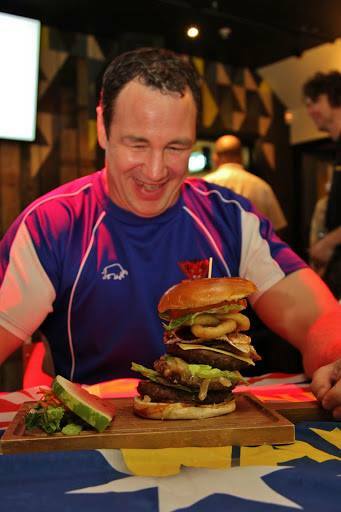 The Salford Red Devils Foundation are the official charity partner of popular Manchester bar and restaurant, Walkabout. To help support the work that the Foundation does, Walkabout are offering all customers the opportunity to donate £1 from the original price of their burger or hotdog. Here at the Salford Red Devils Foundation, we are committed to improving the lives of under privileged children in Greater Manchester, by educating them about healthy lifestyles, and equipping them with the social and educational skills to give themselves a bright future. The money raised through these donations will go towards funding a six week block of physical activity sessions, which will cover a wide range of sports from rugby to dance, and will education participants about healthy lifestyles. Walkabout is the premier location in Manchester to watch NRL and Super League, and is situated in the popular Printworks complex. To make a donation, ask at the bar when placing an order.